"Jedi Master Sifo-Dyas is still a leading member of the Jedi Council, is he not?" Sifo-Dyas was a male Human Jedi Master who served the Jedi Order during the last decades of the Galactic Republic. When the Sith were revealed to have returned during the Invasion of Naboo in 32 BBY, Master Sifo-Dyas secretly commissioned the creation of a clone army, placing an order with the Kaminoan government before he was murdered by his friend, Count Dooku. A Force-sensitive Human gifted with precognition, Sifo-Dyas hailed from the Cassandran Worlds and was raised in the Jedi Order. Like most of the Jedi of his time, he was inducted into the Order at a very young age and taught the ways of the Force at the Coruscant Jedi Temple. Sifo-Dyas constructed his own blue-bladed lightsaber and eventually attained the rank of Jedi Master. He became a close friend of Master Dooku and the two were often seen in public together. Master Sifo-Dyas was chosen to sit on the Jedi High Council, but was removed from that position at some point prior to the Blockade of Naboo because his ideas were judged to be too extreme by the other members. In 52 BBY, Master Sifo-Dyas accompanied Dooku, Jedi Master Qui-Gon Jinn, and Jedi High Council member Jocasta Nu to a meeting on the world of Serenno. After four hours of rigorous debate, a brief recess was called, and the Jedi were confronted by Damask Holdings magister Hego Damask, in reality, the Dark Lord of the Sith Darth Plagueis. Damask aired his concerns for the future of the Republic, and both Dooku and Sifo-Dyas responded to this with their own concerns. Sifo-Dyas was quite stern with his answers and reluctant to agree with what both Dooku and Damask seemed to agree on. Sometime after, Sifo-Dyas and Dooku were present at the Senate Building and met Senator Palpatine of Naboo, in reality, Damask's Sith apprentice (and Dooku's future master) Darth Sidious. As his friend Dooku grew disillusioned with the Jedi and the Senate, Sifo-Dyas grew concerned. He became convinced that very dark times were ahead, but the Jedi Council paid little heed to his warnings. In 32 BBY, a gathering was hosted by Supreme Chancellor Finis Valorum on Coruscant. Sifo-Dyas was in attendance alongside Master Jedi Yoda, Mace Windu, Adi Gallia, and Jorus C'baoth. Once again, Hego Damask approached Sifo-Dyas, and once more he openly admitted that a growing darkness was approaching, as he stated to the Jedi twenty years before on Serenno. Sifo-Dyas agreed to Damask's claim and Damask informed him of cloners on Kamino that could grow an army and hold it in reserve until it was needed. The Jedi Master was at first skeptical of this, but was persuaded to think about it. Not long afterwards, Sifo-Dyas approached the Kaminoans and requested a clone army for the Republic. With the funds provided by Damask Holdings, Sifo-Dyas paid the Kaminoans. At around the same time, Sifo-Dyas was contacted by Supreme Chancellor Finis Valorum, who knew of the Jedi Master's expertise on the criminal underworld, and given a secret mission to negotiate with the Pyke Syndicate of Oba Diah. Because the Senate committee assigned to the Pyke case wanted to keep negotiations between the galactic government and a criminal organization strictly under the table and away from the public eye, Sifo-Dyas did not inform the Jedi Council of his mission. It was at around that time that Dooku resigned from the Jedi Order and fell to the dark side of the Force, joining the Order of the Sith Lords as Darth Tyranus, apprentice of Darth Sidious. Little did Sifo-Dyas know that Sidious and Dooku had learned of his ordering the clone army and planned the steps to his demise. The first test provided to Dooku was to murder his old friend. In doing so, he would fulfill the ancient covenant that prescribed the murder of one who was close as a measure of commitment to the Sith cause. By executing the man, Dooku would gain full control of the project for the Sith, using Sifo-Dyas as a cover. Seeing that Dooku had embraced the dark side, Sidious awarded him the Sith name and title of Darth Tyranus. Sifo-Dyas arrived on Oba Diah together with Valorum's personal assistant Silman, but the secret Pyke-Republic talks were postponed, as the Jedi Council contacted Sifo-Dyas and assigned him a mission to negotiate peace talks between Jungle Felucian tribes on Felucia. However, the two men never reached their destination, as the Pykes were contacted by Tyranus. The Syndicate, wishing to gain an advantage over rival crime families, struck a deal with Tyranus, who paid them a very large sum. At Tyranus's behest, the Pykes shot down Sifo-Dyas' Jedi T-6 shuttle 775519 over Oba Diah. The ship crashed on the planet's desert moon. As proof of the fulfillment of their deal, the criminals recovered the Jedi's corpse from the wreckage and turned it over to Tyranus, taking Silman—who had survived—prisoner as insurance. Sifo-Dyas had been betrayed and killed by his old friend, but the cloning project still stood, so Dooku carried on where Sifo-Dyas left off. Until he had been silenced, Sifo-Dyas had kept the project a secret. To ensure that it stayed a secret, Dooku erased all records of the planet Kamino from the Jedi Archives, along with thirty-seven additional systems, including Dagobah and Dromund, that Sidious had judged to be of potential value to the Sith—this all being done after having publicly renounced and left the Jedi Order. The official records of the Galactic Republic on Sifo-Dyas—classified as "File 127456"—told a different story. According to the file, Jedi Master Sifo-Dyas perished while trying to negotiate peace between several tribes on Felucia, adding that he was aboard a shuttle that crashed on the planet's surface. The records went on to say that his body was eventually removed by the Felucians, who treated it in accordance to their customs, providing an explanation as to why the body was never found. Sifo-Dyas' file stipulated that "much of the information surrounding his death [remained] confidential under the Office of the Chancellor," although "further investigation in the matter [might] be authorized at a future date." Instead of disposing of his old friend's body after it was handed over to him by the Pykes, Dooku preserved it in a cryogenic hibernation capsule for years, until the InterGalactic Banking Clan initiated their plan to turn the Kaleesh warlord, General Qymaen jai Sheelal, into a great cyborg supreme strategist. Transfusing Sifo-Dyas' blood into the veins of the cyborg, Grievous would go on to become the Supreme Commander of the Confederacy of Independent Systems' droid army. Once Grievous' transformation into a cyborg had been successfully completed, Dooku gave him the very special gift of Master Sifo-Dyas' own lightsaber (presumably a different one than that he carried to Oba Diah, which remained in the shuttle wreckage on the Oba Diah moon). In 22 BBY, 10 years after Sifo-Dyas's death, Jedi Knight Obi-Wan Kenobi's investigations led him to Kamino, the source of the saberdart that silenced Senator Padmé Amidala's attempted killer Zam Wesell. There, in Tipoca City, Kaminoan Prime Minister Lama Su told Kenobi that Sifo-Dyas had ordered the creation of a clone army at the request of the Senate, in order to help the Galactic Republic. Su was under the impression that Sifo-Dyas was a member of the Jedi Council at the time he made the order, and did not know of Sifo-Dyas's demise. Realizing that a discrepancy in the timeline may exist, Master Kenobi contacted the High Council and revealed the existence of the army. Sifo-Dyas' army was eventually revealed and used at the behest of the Galactic Republic. The conflict between the Separatists and the Republic was, in fact, named after it. In the third year of said conflict, as part of the Sith illusions created by Darth Sidious and Darth Tyranus's dark side ritual, Sifo-Dyas appeared to Yoda on Korriban. His specter was being tortured, bound by electricity, and begging Yoda to release him. However, Yoda saw through him with his Sith eyes, causing him to merge into Sidious. In 19 BBY, Sifo-Dyas's army was used by the Chancellor to destroy the Jedi Order in accordance with a Sith plot a millennium in the making. In this way, Sifo-Dyas, manipulated by the Sith Lords, had a hand in the destruction of the Jedi Order in his effort to save it. Warren Fu was used as reference for Sifo-Dyas. 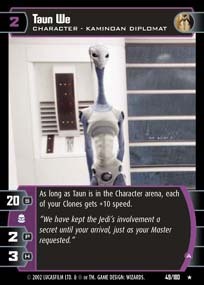 In early drafts of Attack of the Clones, the name of the Jedi who contacted the Kaminoans was Sido-Dyas, pointing to a likely early conceptual connection to Darth Sidious. However, "Sifo-Dyas" appears in one place, apparently as a typing mistake (as the D and F keys are next to each other on a QWERTY keyboard) that Lucas later preferred to the original name. In addition, "Sido-Dyas" was originally only a false identity for Sidious—Obi-Wan Kenobi claimed never to have heard of him, and Mace Windu confirmed that there was no Jedi by that name. His backstory was promised by George Lucas to be revealed in Star Wars: Episode III Revenge of the Sith. However, once Lucas refocused the film's story to center on Anakin, he was forced to cut several plot points related to Attack of the Clones, including Sifo-Dyas' backstory. However, he allowed author James Luceno to reveal it in the lead-in novel Labyrinth of Evil. The character's name was changed to Zaifo-Vias in Brazil. The original name is phonetically similar to a vulgar expletive in Brazilian Portuguese, so this was done to prevent confusion. 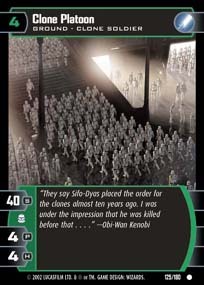 The first visual appearance of Sifo-Dyas was in The Eyes of Revolution comic featured in Star Wars: Visionaries. The story was written and drawn by Industrial Light & Magic concept artist Warren Fu, and as an easter egg, or inside joke, Fu used himself for the face of the Jedi Master. Artist Chris Trevas noticed Fu's likeness in the comic while doing research for his own illustration of Sifo-Dyas in Jedi vs. Sith: The Essential Guide to the Force. For the sake of continuity, and respect for a fellow artist, Trevas contacted Fu to reprise his role for the Jedi vs. Sith illustration as well. In 2014, the episode "The Lost One" of the Star Wars: The Clone Wars television series' sixth season unveiled more details about Sifo-Dyas's last moments and the exact manner of his death.